Compared to the 760D, which places its lockable mode dial on the opposite side of the top plate to free up space for a small LCD panel, the 750D’s body design is more in keeping with the 700D. 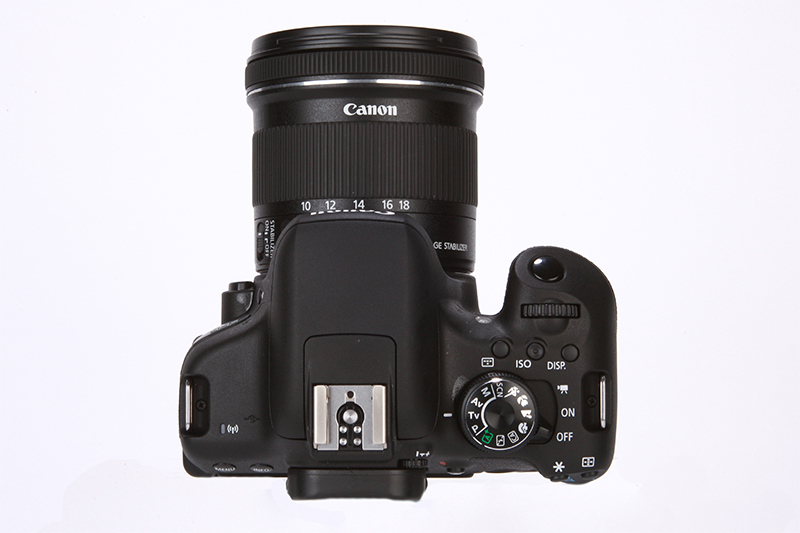 The top plate and rear of the 750D is non-threatening and thanks to the simple, well structured layout of buttons it’ll allow beginners who may not have used a DSLR before to pick it up and get accustomed to the handling very easily without scaring them off. Picking up the camera for the first time, you immediately value how lightweight it is. 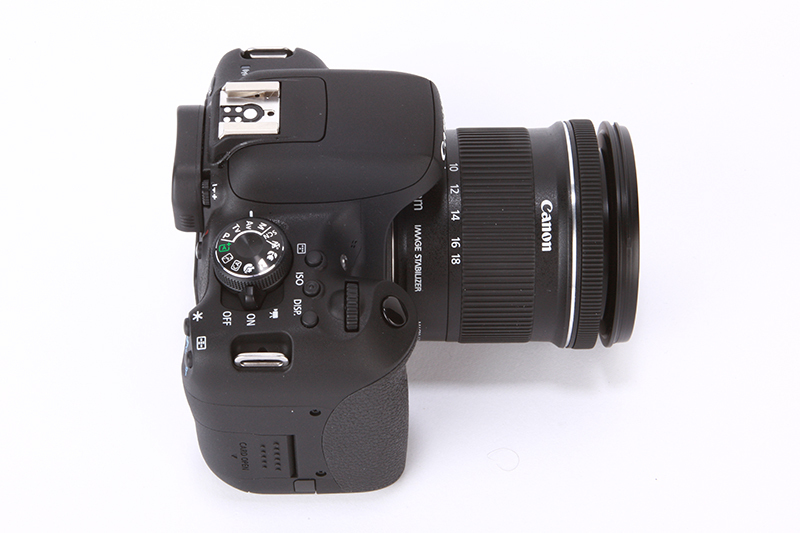 It manages to shed 25g off the weight of the 700D, weighing 555g on the scales without a lens. It doesn’t have the same heavy-duty quality as the prestigious EOS 7D Mark II and EOS 5D Mark III models, but the aluminium alloy chassis and polycarbonate resin with glass fiber finish combine well to give it a convincingly solid feel and the panels neither creak or squeak when the body is gripped tightly. One way that Canon could have made the 750D’s build quality even better would have been to employ weather sealing from its advanced enthusiast and pro models. This is something we’ve seen Pentax employ into a few of their lower-end DSLRs in the past, but still remains a feature we’re yet to see Canon or Nikon filter down into their beginner models. Operating the 750D out in the field confirmed just how simple a camera it is to use. The mode dial is in easy reach of the thumb, the AF modes are quick to toggle through using the dedicated button on the top plate and though it lacks twin dials as found on the 760D, it’s easy enough to hold the exposure compensation button and use the single command dial on the top plate to adjust shutter speed in manual mode. The pair of zoom buttons are great for zooming in and inspecting image sharpness in playback mode, but how often they’ll see use very much depends on the type of user and whether they’d prefer to take advantage of pinch and zoom gestures via the touchscreen. On the subject of the screen, there’s a deep indent to allow it to be pulled out with ease and the articulation mechanism feels positively robust with just the right level of resistance.